Location; Deutsche Bank London offices, October 2012. 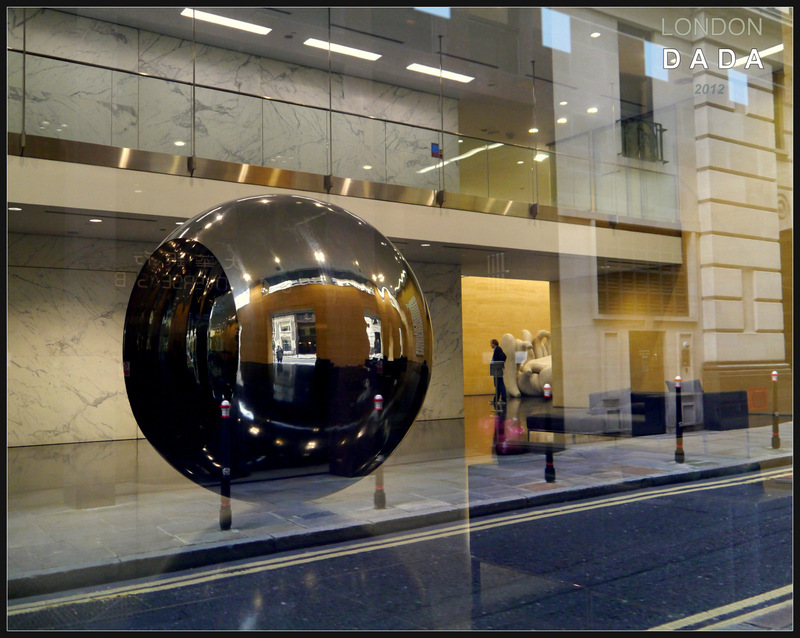 Inside the lavishly-appointed reception lobby reside artworks by Anish Kapoor ( mirrored stainless steel ball titled ” Turning the world upside down” (1996); and by Damien Hirst ( spot painting “Biotin-Maleimide” (1995). 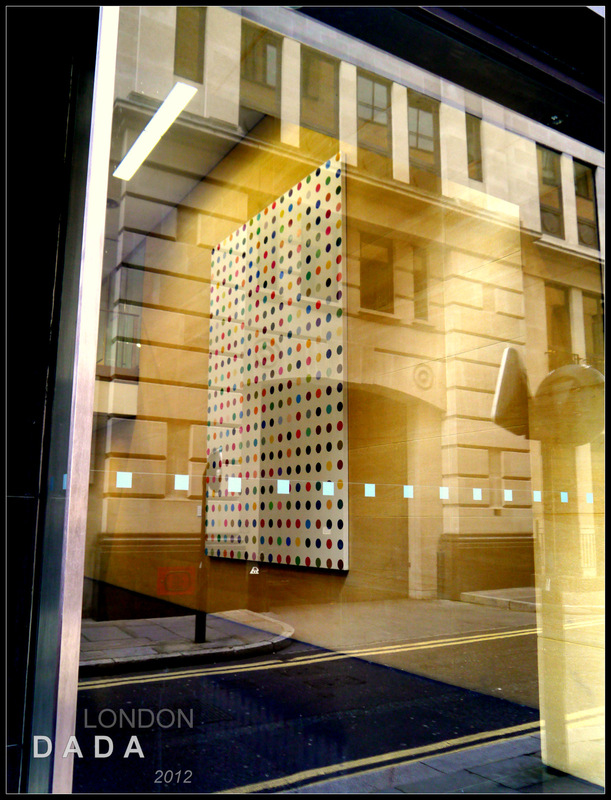 This entry was posted in Uncategorized and tagged Anish Kapoor, Biotin-Maleimide Street, Dada Street art, Damien Hirst, Deutsche bank, Turning TW inside out by Michael St.Mark. Bookmark the permalink. I cant see many burglars running off with that ball it looks really heavy! A nice idea though that they can be seen. Oh I don’t know Christine, the big ball could probably be rolled out by two people and then up a shallow ramp into the back of a waiting Transit? Just the small matter of creating a big enough hole in the sledgehammer proof glass first!